Tyler and I inch toward the Green Room, in line with blow-dried TV anchors and stuffy columnists. He's practicing his handshake and hello: “It's a pleasure to meet you, Mr. President. It's a pleasure to meet you, Mr. President. It's a pleasure to meet you, Mr. President.” When the couple in front of us steps forward for their picture, my teenager with sky-blue eyes and a soft heart looks up at me and says, “I hope I don't let you down, Dad.” What kind of father raises a son to worry about embarrassing his dad? I want to tell Tyler not to worry, that he'd never let me down. That there's nothing wrong with being different. That I actually am proud of what makes him special. But we are next in line to meet the president of the United States in a room filled with fellow strivers, and all I can think about is the real possibility that Tyler might embarrass himself. Or, God forbid, me. 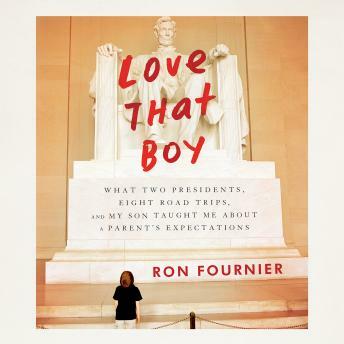 What we want for our children-popularity, normalcy, genius-and what they truly need-grit, empathy, character-are explored by National Journal's Ron Fournier, who weaves his extraordinary journey to acceptance around the latest research on childhood development and stories of other loving-but-struggling parents.